People are ready to spend money during national holidays, that's why it's easy to predict your store success. 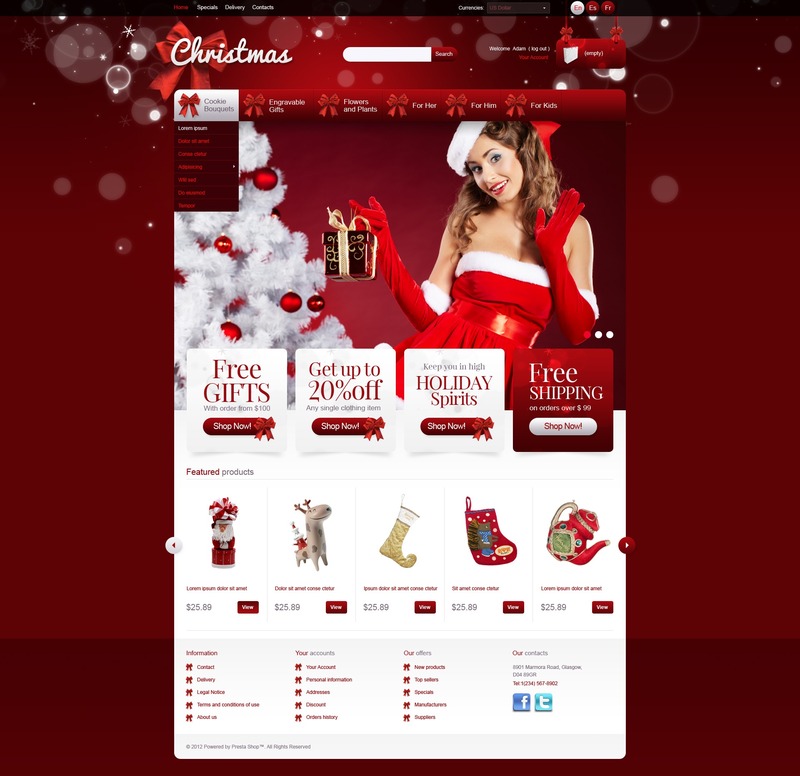 The layout was created in traditional Christmas colors with relevant symbolic decorations. Two sliders serve excellent product presentation. Banners advertise festive offers and discounts. Drop down menu and footer links won't let your customers leave without a purchase.